Increasing the efficiency, lifespan, and performance of brand new or overhauled aircraft engines is easily achieved by proper break-in techniques prior to first flight. Specific types of oil are required to run through the engine components to smooth the often rough and uneven engine walls. When done properly, the engine break-in process is extremely useful in the prevention of unwanted safety hazards as well as improving performance. Metal-to-metal contact is usually never desirable, however, the brief period of engine break-in requires the film membrane to be broken, allowing the internal components to basically wear themselves into a workable condition. 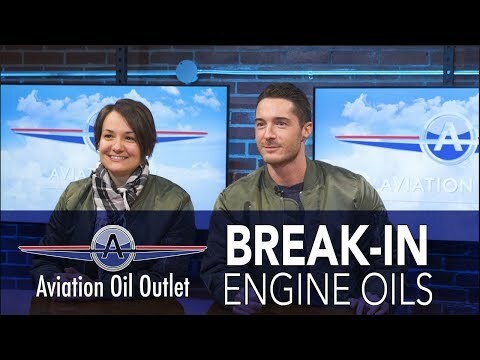 Multi-weight engine oils for aircraft prevent undesirable “glazing,” which may occur during the break-in process; this phenomenon may lead to improper smoothing and cleansing of the engine. These oils are designed to wear-in new or overhauled engines in less than 25 hours.